An Amazon driver who stole a family's pet when he was delivering dog food has been given a 12-month community order. 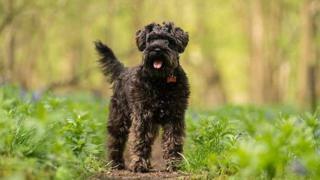 Levi Pislea, 22, snatched Richard Guttfield's miniature schnauzer, Wilma, when he delivered the order. It sparked an online appeal to trace the 11-month-old missing hound. Pislea, of Beaconsfield Road, Barnet was found guilty of theft by magistrates at High Wycombe. He was ordered to carry out 150 hours' unpaid work. Mr Guttfield discovered Wilma - who was valued at £800 - was missing on 27 April last year. The 52-year-old searched for four days and nights and put up posters in the area around his home in Marsworth, Buckinghamshire and contacted Amazon. Pislea was questioned by his employers FastUK, who were contracted to deliver parcels for Amazon. He denied going near the owner's garden or seeing any dogs, but an app which tracked the driver's steps showed him walking around Mr Guttfield's property. A FastUK manager went to Pislea's home, where he handed over the dog. The court heard there was a plastic chest by the gate of Mr Guttfield's house where Amazon deliveries were normally put. But on this occasion, the parcel was left in his porch. Mr Guttfield, who has another dog called Fred, told magistrates he had been surprised to see that dog on his own when he opened the front door. "They were always at the door together. It was unusual - it had never happened before," he said. Image caption Levi Pislea said he "did not notice a dog"
Pislea told the court he "did not notice a place to leave the parcel" and "did not notice any dog". He said he found a dog on the road walking towards the canal and, concerned for its safety, he took it home, and intended to hand it in to a police station. Chairman of the magistrates' bench Irvin Thobourne, said: "You took no steps to make inquiries about the owner of dog. You knew a family were looking for the dog. "This was very distressing for the owner and his family. We have heard the dog was also distressed. It was a very serious offence."